Update 5/2/18: All positions have been filled for front desk and concession stands. Lifeguard positions are still available. 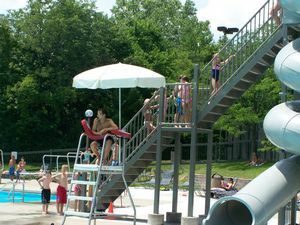 Muirfield Association is actively seeking dedicated, reliable team members to fill positions at the Muirfield pools for the summer 2018 pool season. We offer competitive wages, based on experience, and an excellent working environment! Interested candidates may also stop by the Association office during regular business hours for an application.